The store will also stop selling third-party products, focusing instead on its own brand. Askov Finlayson, that of the "North" hats in the Minneapolis North Loop, will close down temporarily this year in order to "reimagine" its space. The announcement from CEO Eric Dayton, son of former Minnesota governor Mark Dayton, revealed several changes that the upmarket retail store will undergo over the coming months. Chief among them is the addition of women&apos;s apparel to its currently male-centric selection, which will form part of a "new and expanded assortment of Askov Finlayson products." Speaking of those products, another significant change announced on Wednesday is it will no longer sell third-party products at its store, instead focusing on its own line of apparel and accessories ahead of the relaunch. It&apos;s these own-brand products, such as the famous "North" hats (that at $34 are one of the cheaper items in the store), that have proven the "fastest-growing part of what we do," according to Dayton. The North Loop store will temporarily close while the space is redesigned, re-opening as a "true flagship store" later this year. Its online shop will continue selling products as usual. Part of the shift away from third-party products seems to stem from the retailer&apos;s "Give 110%" fight against climate change. Last year, Dayton announced his company would donate $1.10 to climate change groups for every $1 of cost its operations impact on the environment. "We&apos;re a mission-driven company," Dayton writes, "and this move better aligns our business with our mission, as third-party products weren&apos;t a part of our Give 110% climate impact calculation. "It&apos;s time to go all in, and that&apos;s what we&apos;re doing." The DIY giant is struggling to compete with the likes of Home Depot. It has locations in 26 Minnesota cities. It was the only record store in the area. 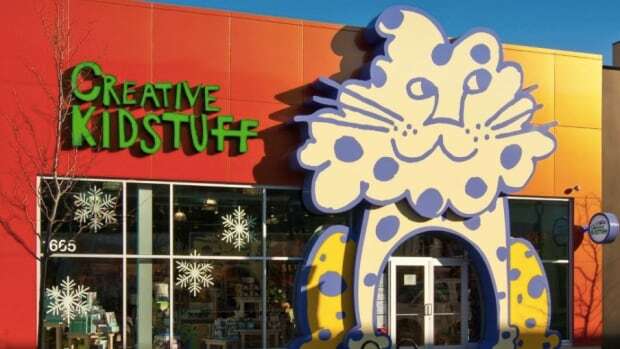 The children's clothing chain has 7 stores in Minnesota. Traditions will focus its Minnesota business on its St. Louis Park store. The company has gone into liquidation.